4 people that are involved in the Naroda Patiya Case in the 2002 riots that happened in Gujarat have been given bail by the Supreme Court of India. 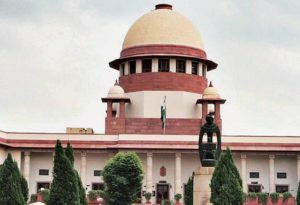 The four people who are convicted are Rajkumar, Prakashbhai Rathod, Umeshbhai Bharwad, and Harshad are all serving a 10-year jail sentence for the crime of rioting and arson. These crimes were convicted by the High-Court of Gujarat. 97 Muslims were killed on February 28, 2002, in Naroda Patiya near Ahmedabad, on the same day a train was burned down that killed 59 Hindu passengers. Last year the High-Court of Gujarat sentenced the convicts to 10-years of imprisonment. Also, the High-Court convicted 16 more people that includes Babu Bajrangi, 18 others, and former BJP Minister Maya Kodnani.